When you notice a crack in your windshield, you need to take care of it right away. 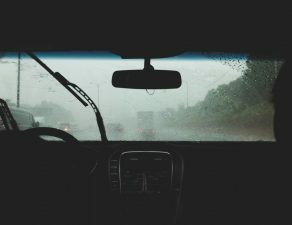 It weakens the integrity of your windshield, leaving you less protected if you get in an accident. And if you leave it alone, it will get worse. In a short amount of time, it gets bigger, more expensive to fix, and more dangerous to drive with. If you catch it now, you may only need chip repair. But depending on how bad it is, you may already require a windshield replacement. How can you tell which service you need? Keep reading, that’s how. We’ll tell you all you need to know about repairing a windshield crack. 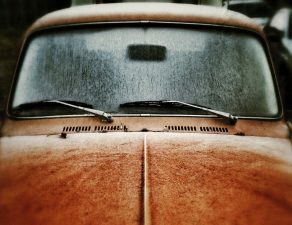 Use this guide to choose the proper cracked windshield repair service. 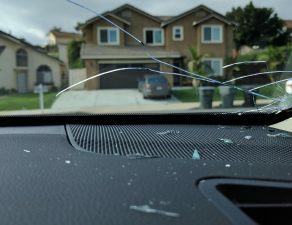 How Dangerous is a Cracked Windshield? Answer: a cracked windshield is very, very dangerous. Let’s take a look at why you need yours fixed immediately. Obviously, it’s dangerous to have an unmissable crack in your field of vision while driving. But even a small chip, crack, or blemish that you don’t usually notice shouldn’t be taken lightly. If it distracts you at just the right time, it can cause an accident. Besides, the crack can quickly get worse, becoming a bigger distraction in the middle of your drive. 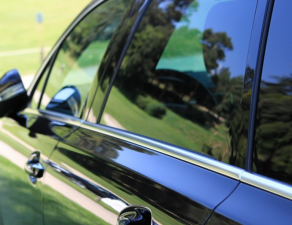 More importantly, cracks disable the important, built-in safety features of your windshield. Though it looks like a single layer of glass, your windshield is a complex, 3-layered safety system. The two outside layers are glass. Sandwiched between them is a thin layer of vinyl resin known as the safety layer. This safety layer is what keeps your windshield from shattering during an accident. 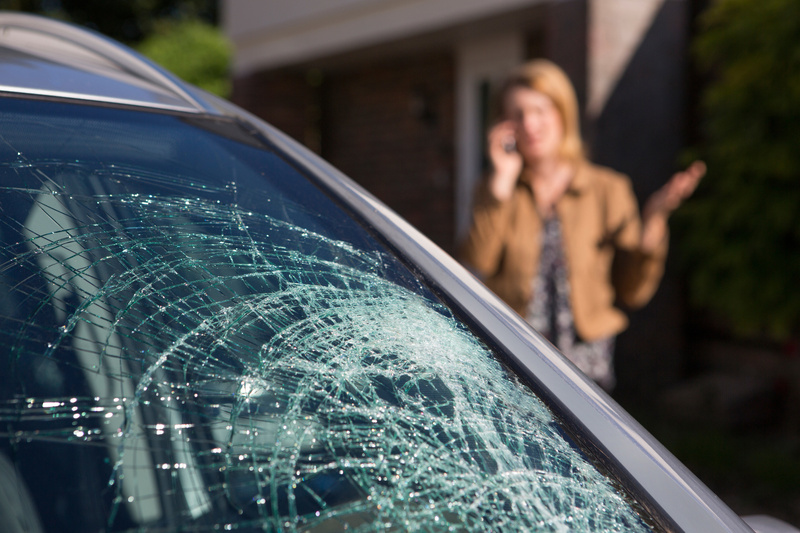 Without it, a simple accident could turn your windshield into 1,000 projectile glass shards headed straight for you. And once this layer is breached by a crack, it no longer functions to protect you. You wouldn’t think a glass windshield is strong enough to keep the roof from caving in if an accident rolls your car down a hill. But actually, that’s exactly what it does. If your car gets flipped, the safety-layer-reinforced windshield helps support the frame of your car and keeps it from collapsing on you. But again, an untreated crack in your windshield can nullify this safety feature as well. As you can see by the points above, a cracked windshield can turn a minor accident into a deadly one. Because of this, driving with a cracked windshield is illegal in many states. When left untreated and exposed to the elements, the crack will always get worse. And with it, so will all the problems listed above. But also, this means your $30 chip repair turns into a $200 windshield replacement. When the crack gets bigger, so does the price. Most chips and small cracks won’t require windshield replacement. These can be repaired for cheap by chip repair professionals. Here are some general rules of thumb to tell if the damage can be repaired. If this describes your windshield, you should be able to get it repaired. Windshield repair is quick and painless. Simply search online for windshield chip repair in your area. Call and get a price quote from the companies that pop up and choose whoever is cheapest. The repair process should take less than 30 minutes and cost around $25-$30 per chip. But before they start, make sure the work is guaranteed. That is, if the crack were to get worse after the repair, make sure they agree to fix it at no additional charge. Afterward, keep all your receipts and any paperwork you filled out so you can hold them accountable. 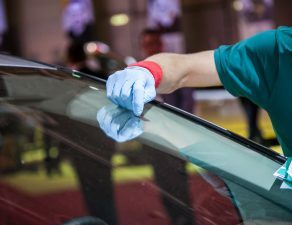 Windshield crack repair may look easy, but there’s more to it than you’d think. First, a qualified windshield technician will assess the crack to determine if it can be repaired. The crack is then cleaned so dirt and other debris won’t be sealed along with the crack. This would leave a noticeable blemish that can’t be removed. Next, the chip or crack is carefully drilled. The technician must drill through the top layer of glass to reach the safety layer. If they don’t drill all the way through this top layer, the crack would still threaten the function of the safety layer. If they were to drill too far and break through the safety layer, the windshield would be ruined. Lastly, they fill the hole with a special resin and use a UV light to dry and harden it. Then they remove excess resin and smooth it out to match the surface of the glass. Once finished, it’s hard and clear and looks just like the glass, though it usually leaves a slight blemish. Here’s how you can tell if your windshield needs replacing. If this sounds like your windshield, you’ll likely need it replaced. As with windshield repair, do a local search, get price quotes, and make sure the work is guaranteed. Unfortunately, though, windshield replacement is significantly more expensive. It will cost around $170-$300 and take about an hour of work. First, the old windshield and its weather stripping are removed. 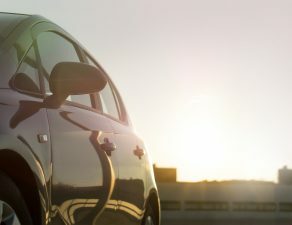 The weather stripping is a rubbery seal between your windshield and car frame that keeps it in place and seals out the elements. Next, the new weather stripping is attached to the car. Then, the new windshield is set in place. 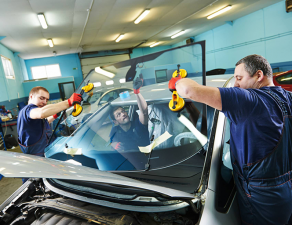 Be warned: it’s never a good idea to repair or replace your own windshield without adequate training. Both repair and replacement are extremely delicate jobs that require a certain expertise. Unless you’re professionally trained, you are not likely to possess the knowledge, skills, and experience needed to do it properly. And an improper repair job will ruin your windshield and cannot be fixed. Then your easy, $30 repair job becomes a $200 replacement job for no reason. Even worse, doing it wrong means your windshield is seriously unsafe if you get in an accident. To attempt DIY windshield work without proper training is to risk your own life. Don’t let a small crack become a big problem. 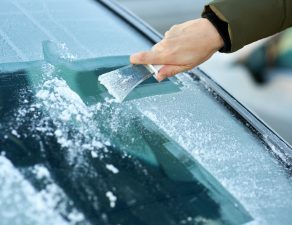 If you have windshield damage, get it looked at as soon as possible. Use the tips above to get the cracked windshield repair or replacement service you need. Do you lease cars? 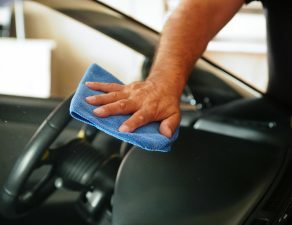 Check out What Every Leased Car Owner Needs To Know About Windshield Repairs.